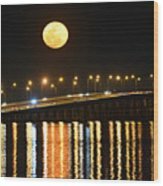 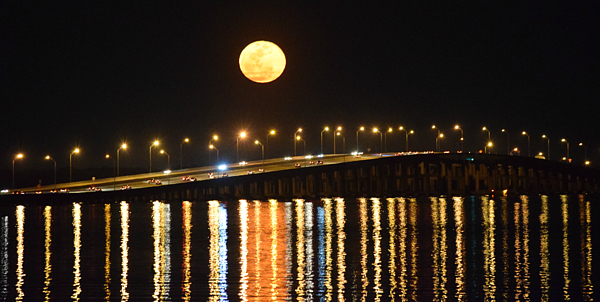 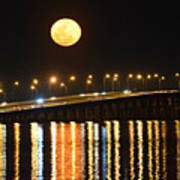 This is the moon in all it's glory as it sits just above the Buckman bridge over the St. Johns river separating Orange Park from Jacksonville, Florida. The reflections are gorgeous as is the moon itself as they stretch from the bridge to the shore. 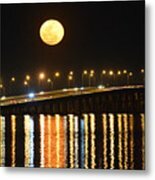 The moon has it's own reflection squeezed in-between the street lights.